Pai Gow is an Asian inspired game that is extremely popular in the Philippines. While many American players have never heard of the game, you’d be hard pressed to find any Filipino gamblers who don’t love to play it. We are pleased to report that there are versions of Pai Gow available to play online at our recommended legal online casinos that accepting players from the Philippines. In most cases, the version of the game is somewhat different than the original and is referred to as Pai Gow poker. Rather than the traditional Chinese dominos that are used in the original game, cards bearing poker hand values are used in the Pai Gow poker version of game play. This is the Americanized version of the game, but its origin is based on the original Pai Gow game. In both versions, a double hand is created either out of cards or dominos, and is then used to try to beat the dealer. Six to seven players are typically involved, but everyone is playing their hands against the dealer rather than against each other as you would in other poker games. When playing this game at an online casino, random number generators are used to ensure fairness and that the results are truly random. RNG technology can compute billions of combinations; thereby rendering a volume of results that is well beyond anyone’s ability to recognize a discernable pattern. The result is a very fair gaming environment. RNG software is a part of the auditing process for online casinos that are subject to regulatory oversight. Third party agencies inspect the casino’s use of this software for fair gaming practice compliance. These inspections are part of random, unannounced audits performed to ensure that casinos are operating legally according to licensing requirements and industry standards. Is Online Pai Gow Legal In The Philippines? Since there are no gambling laws in the Philippines that make it illegal for citizens to participate in online gambling, it is completely legal for Filipino players to enjoy playing Pai Gow online. The key is to play at online casinos that legally accept players from the Philippines, such as the ones you see in this guide. 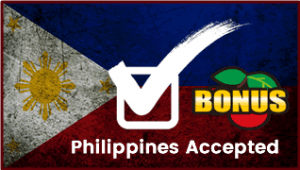 The gambling laws of the land do prohibit government licensed online casinos from allowing Filipino citizens to participate in their gambling services. Because of this, residents must play at legally licensed and regulated gambling sites that are located offshore. By doing so, players are not violating any national gambling laws whatsoever. In 2012 the issue of offshore gambling came into question. However, a court ruled that there are no provisions found within Philippines gambling law that make it illegal for citizens to place bets online. There is now no question regarding the legality of Filipino residents being able to legally enjoy offshore gambling online. Are There Any Online Pai Gow Bonus Offers To Take Advantage Of? Pai Gow is not typically included in any online casino bonus schemes. It is possible to find it included in a bonus that covers ‘all games’ or ‘other games’, but not likely. Our recommendation would be to take advantage of one of the generous slots bonuses and then once you meet the wagering requirements, use your winnings to enjoy playing pai gow. There are always some games that simply are not included in the bonus offers at online casinos, and pai gow is sometimes one of them. Should you find a bonus that includes this game, it is most likely going to be a percentage match bonus and look something like this: 150% match bonus up to $100. In this bonus, the online casino is offering to match your deposit by 150% up to a maximum of $100. What Types of Pai Gow Games Are Legally Available in the Philippines? As mentioned above, the two primary versions of the game are traditional pai gow that uses Chinese dominos, and the Americanized version of pai gow poker in which cards are used. Regardless of which version you are playing, it is most likely available in both a downloadable version and an instant play version. Other options include free play mode or playing for real money. Free play mode is a great way for new players to learn this game and get some practice in before wagering any real money. You will generally find comprehensive instructions for all games on the casino website, but some free practice goes a long way when learning a new game. We also think playing for free is a great way to try out a new casino website to see if you like what you see and that it meets your preferences. We haven’t seen pai gow make into the live dealer game menu yet, but we are expecting to see it added to that platform in the near future, especially at online casinos accepting players from the Philippines. Our guide to live dealer casino games in the Philippines will give you more information on how these games work. Where Can I Find Legal Online Pai Gow For Filipino Players? The good news is that most online casinos do offer pai gow in their gaming menu. Even better news is that we scoured those online casino destinations where pai gow is found and have compiled a refined listing of the leading options available to Filipino players. These online casinos all accept players in the Philippines, are legitimately licensed and regulated offshore, and offer a high quality experience and premium performance. They all deliver a sophisticated security profile to keep you and your sensitive information secure, and offer a comprehensive banking suite for funding your account. There are also a number of legal Philippine Bitcoin casinos Filipinos may participate on that are easier to fund, along with online Philippine casinos accepting Ethereum, Dash, and Litecoin. We can only vouch for those online casino brands that are listed in our guide. Not all online casinos that are legal are also ethical, hence input from industry professionals can eliminate the risk of you landing at a questionable online gambling business.